Every time I clean her up, I stand back and am amazed she's been in service for 12 years now. In the salt belt no less. Take that Mazda! Great looking car. I can't believe the shape mine is in too, also being a salt belt car. Incidentally, white is my second favorite color. 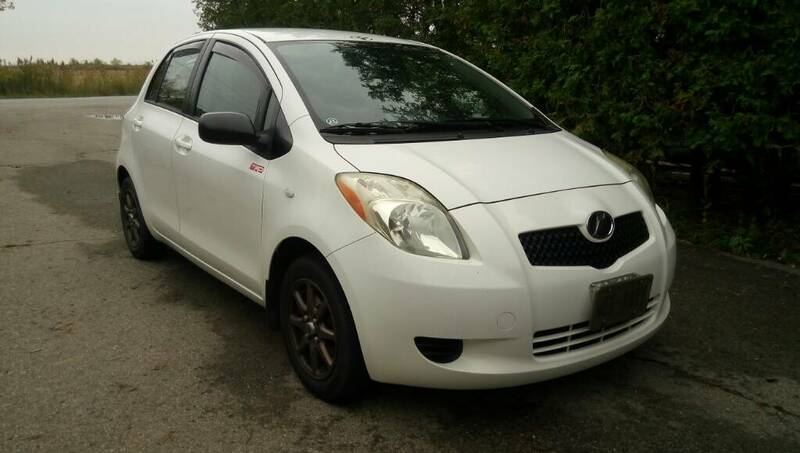 Just for fun I was over at the Toyota Canada website and noticed that they don't offer a silver variant any more. What's with that? Hmmm, guess I better go back and look again. I was in the build function and didn't see the silver. Thanks. EDIT: I see now. The YARIS HATCHBACK 5DR SE 4A does not come in that color. Other Yaris trims do. Never seen that before from a manufacturer. 11 years for mine. Its overall in good condition, but rust is coming out of the front fenders and rear 1/4 where the bumper meets. Not sure how long it will last before it completely falls apart. Looks great, WeeYari. Wish my Yaris was white. Prius rims FTW! I have a set for my winter tires. So light. Time to show us more of your golden egg, and the new silver egg. Nothing really to see here. My days of changing stuff up every year ended long ago. Focus now is just keeping my baby going. For the ex rental naysayers, this car lived her first 15 months/38,000 km as a daily rental. I believe she goes to show that buying a rental is no more risky than any other source of resale. Hell, she even sports her original water pump. Last edited by WeeYari; 10-16-2017 at 03:42 PM. What's your odometer read, WeeYari? Nice. Probably another 300,000 in it.